Platforms have special hosting capabilities — foremost among these is the ability to host dapps. However, XTRABYTES allows modules to be added as well. What’s the difference? Listed below are two examples that demonstrate how one platform’s dapp can equate to another platform’s module. The latter can be viewed as an extension of the platform’s core (and its many attendant benefits thereof). As blockgeeks explains, platform-based dapps generally have several characteristics in common: they’re open source, decentralized, incentivized, and follow a common protocol (ie Proof of Work). As dapps, these innovative applications are frequently geared toward solving specific problems. For instance, Ethereum-based dapps utilize smart contract technology to provide users with real world functionality. Among the more popular dapps are Golem (creating a market for idle computing power), Basic Attention Token (which aims to disrupt online advertising by rewarding users for their attention), TenX (a digital wallet and cryptocard that enables cryptocurrency spending at any store — even if they don’t accept crypto), and Augur (a decentralized platform for prediction markets). Augur is particularly interesting, as it allows “users to create their markets for specific questions they may have and to profit from the trading buys while allowing users to buy positive or negative shares regarding the outcome of a future event.” (Cryptocompare). Built upon an exchange protocol, Augur enables signaling between buyers and sellers using its native Reputation token. Users stake their Reputation tokens on a specific event/outcome that might occur and receive rewards accordingly. Although dapps generally do not employ tokens as a core component, Augur is an excellent example of how such tokens can function as a financial incentive. 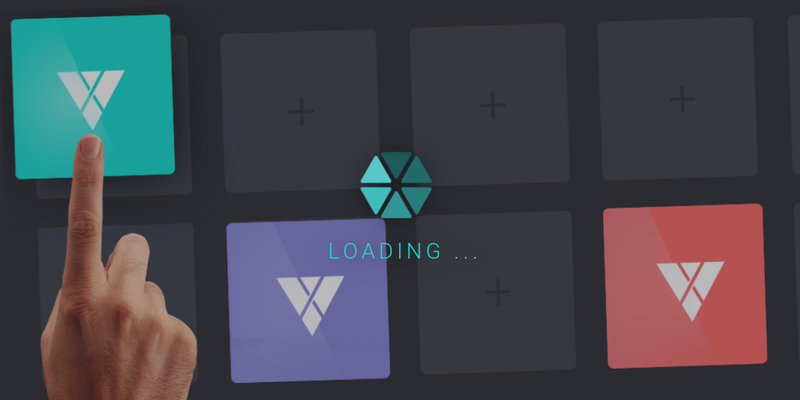 Like Ethereum users, XTRABYTES users will be able to access a decentralized exchange as well (albeit one more intimately connected to a platform). Known as X-CHANGE, this XTRABYTES ‘module’ will allow STATIC node owners to deposit and trade XTRABYTES’ internal development token XFUEL. In addition, STATIC node owners will get paid a certain percentage of all the transactions they conduct on X-CHANGE (in direct proportion to their deposit in relation to overall deposits). With transaction fees as a financial incentive, X-CHANGE has found an innovative way to preserve XFUEL’s liquidity. Given this setup, X-CHANGE will also have the capacity to host and promote smaller project coins as well. Those that have enough support from the STATIC Community will be actively traded with XFUEL. Those that struggle to gain investor interest will experience less traction in the market. Although X-CHANGE is not configured as a prediction market, it appears to provide the same buying/selling functionality as Augur. With any luck, it may will serve as a viable alternative to ICOs for smaller coins. Built for the client-side, the Augur dapp hosts a user-interface (as any software application would). However, X-CHANGE will run on a server-side component called a module. As a module, X-CHANGE is best understood as an extension of XTRABYTES core. As such, it has access to the same functionality and benefits as the core (particularly those associated with PoSign). Its directly connected to the blockchain after all. Best of all, any third-party developer can create a module — and in any language. In contrast, dapps technically exist apart from the platform. A module will be given pride of place by serving as part of the platform.